MASSIMO BORDIGNON gained a first degree in Philosophy at the University of Florence; he then moved to the UK to attend post graduate studies in Economics (MA, Essex; PhD, Warwick). His research interests are mainly concentrated on Welfare Economics, Public Economics and Political Economics. He is the author of three books, he has published extensively in many national and international scientific journals, and is associated editor of the Giornale degli Economisti, the Journal of Economics and Finanzarchiv. He also published extensively on the press and he is currently a member of the editorial board of the www.lavoce.info. He taught at Birmingham University, Università di Bergamo, Brescia, and Venezia. 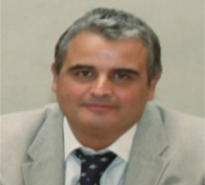 He is currently full professor of Public Economics at the Catholic University of Milan, where he is also the Director of the Master in Public Economics and of the Graduate School in Economics and Finance of Public Administration. He worked as a consultant for several national and international institutions and acted as a member of several technical commissions within the Italian Government. He is currently member of the scientific committee of the High Commission on Fiscal Federalism (Ministry of Treasury) and President of the Committee on Public Expenditure of the Autonomous Province of Trento.